The Camorra is a crime phenomenon. Existing in the area surrounding Naples and Caserta, it is so much a part of life that its income comes from legitimate as well as illegal activity: the Camorra has a monopoly on illegal waste dumping but it also generates money through drug dealing, money laundering and numerous legal activities across the globe - it even invested in the reconstruction of the Twin Towers. The incredible earning power is due to the ruthless enterprise of the organisation - the death toll is quite stunning, more than the IRA, ETA and Islamic terrorism. A journalist who grew up in the region, Roberto Saviano, wrote the book Gomorra which was incredibly popular, not only in Italy, but worldwide; translated into 33 languages and selling over 1.2 million copies. Due to the non-fiction nature of the book and the inclusion of real names, it led to prosecutions and Saviano received death threats in court. Since October 13th 2006 he has been escorted everywhere by five armed guards and his location is a closely kept secret. It is likely that he will spend the rest of his life in police protection as someone who testified against the Camorra ten years ago was recently assassinated. Saviano worked on an adaptation of his book with director Matteo Garrone and four other screenwriters to bring Gomorra to the big screen and it was lauded at Cannes in 2008, winning the Grand Prix and nominated for the Palme D'Or. 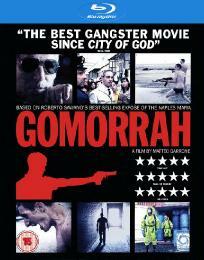 Interweaving five stories, Gomorrah (the English title), shows the criminal organisation from top to bottom, with the boss largely keeping himself clean and in hiding, two young members stealing guns and aspiring to be like Tony Montana, a thirteen year old (Totò) trying to join the organisation, a tailor breaking ranks and helping the Chinese and a graduate looking for a job ends up helping out dumping toxic waste. Garrone doesn't go for the easy option of putting a title card up and showing you one story then another, but splinters them so are constantly wondering which characters you are following, how their lives feature in the wider Camorra and how they will factor in the other stories, if at all. A stunning transfer with quite superb cinematography and use of mise-en-scène. The area is shown as a concrete jungle, where the Carabinieri can be completely ineffective due to the numbers of lookouts and support amongst ordinary civilians. I noticed one instance of moiré on a fence but that is really nitpicking - the overall look is the work of a class director and cinematographer with some wonderfully (pardon the pun) executed stunts and hits. The only option is a DTS-HD Master Audio Italian soundtrack with optional English subtitles - the audio is very impressive, with pounding diegetic music. The dialogue is clear, using (as I understand it) Neapolitan dialect (even requiring subtitles in Italy) and is very well subtitled though there were a couple of errors, such as "companies" instead of "company's" or "companies'" but these are only minor mistakes in a rich and dialogue heavy film. The main extra is the hour long '5 Stories' making of which, unlike some, isn't structured into pre/post production, shooting etc. but is simply a long feature covering the whole shoot. No-one really talks about the book, the adaptation or the veracity of the film to the real Camorra but it is a revealing and interesting look at the filming process. This is a good making of but it's not as exhaustive or comprehensive as the very best and is distinctly lacking in information about pre- and post-production. However, there are a couple of interviews, the best of which is a fascinating and detailed conversation with Saviano. Running at over 40 minutes, this includes loads of details about the region around Naples where the Camorra operate and the criminal enterprise of the different clans in the area. As his whereabouts are unknown, this is a real scoop and a great inclusion on the disc. Saviano doesn't talk about the book or his current situation but concentrates on how the different mafia groups, including the Cosa Nostra, function and is a must watch for anyone interested in the background of the film. There are several deleted scenes, which show the fairly loose filming process and how much was done and decided in post production; the trailer is also included. 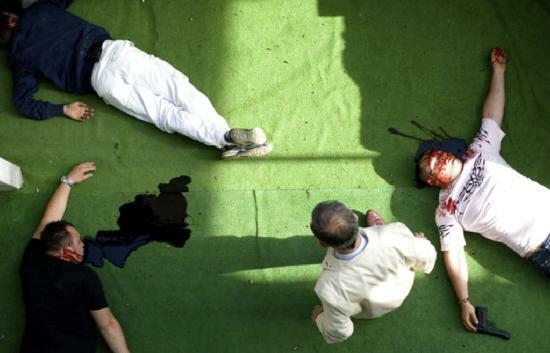 Despite their massive financial turnover and huge body count in the Naples region, the Camorra is not a particularly famous (or infamous) criminal organisation, overshadowed by the much more romanticised 'official' mafia. With films like The Godfather and Goodfellas, the Cosa Nostra has a mythical status that has not been afforded to the Camorra, largely because nothing was known about it. Roberto Saviano changed all that with his extraordinarily brave book and this blistering adaptation shows that, far from being a formally structured business under a powerful and untouchable Don, it is a collection of lowlifes and delusional thugs led by a Don who stays inside and barely ventures out. 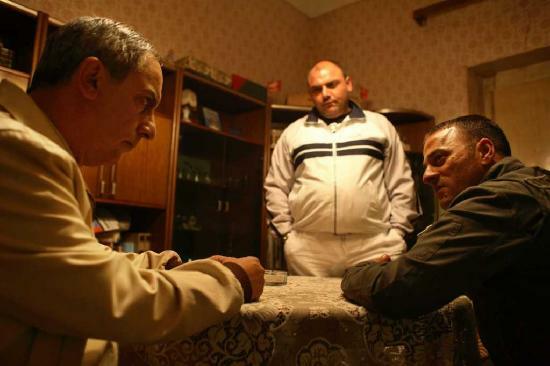 Gomorrah is a beautifully constructed film with a large cast of actors with varying degrees of experience - there are no superstars here, nor should there be as the presence of a well known actor would detract from the sense of authenticity. Saviano lifted the lid on the Camorra and Matteo Garrone doesn't flinch from showing the criminal enterprise in a negative light, there is no attempt to glamorise the activities or the power that the bosses have. The large cast are all excellent and their interactions seem natural, not to the extent that Gomorrah becomes a documentary, but there is a sense that they really inhabit the characters and it's quite amusing that Giovanni Venosa got into a small row with Garrone about what Giovanni would do in a certain scene, obviously of the opinion that he knew the character better. 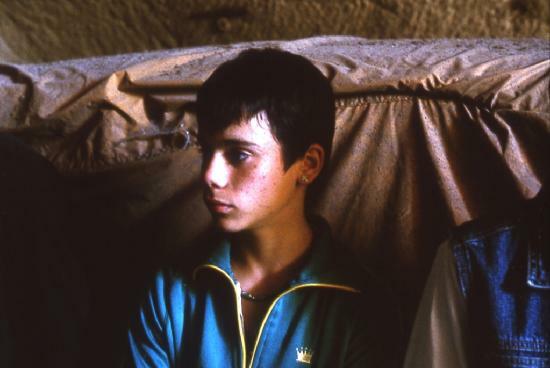 This is a stunning film, a tremendous directorial effort and it's a mystery why it was not nominated for the Best Film in a Foreign Language Oscar at the 2009 Academy Awards. Just watched this film, its a f***ing classic!